BHP is one of the world's leading resources companies focusing primarily on iron ore, copper, coal, and petroleum. BHP played a major role in the evolution of commodity markets. For example, in iron ore, the company helped shift the industry away from the decades old annual benchmark system to pricing that better represented daily market dynamics. 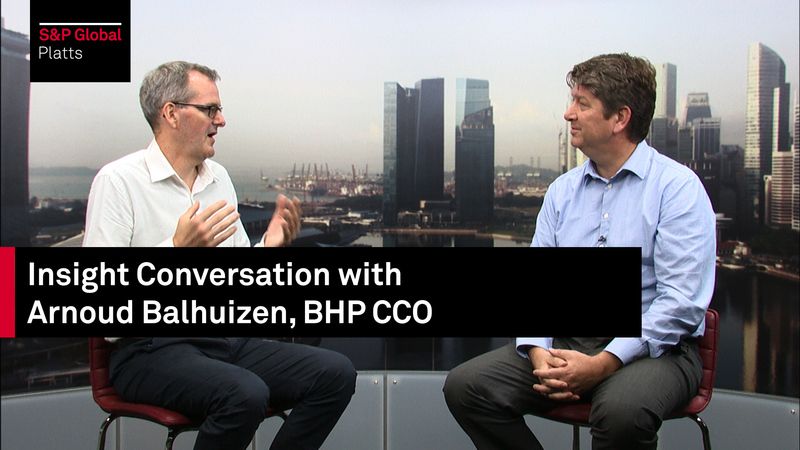 This episode of Insight Conversation features BHP's Chief Commercial Officer Arnoud Balhuizen, who talks to S&P Global Platts Senior Managing Editor for Metals Paul Bartholomew about the development in the iron ore and metallurgical coal markets, BHP's priorities in the coming years, the impact of China's environmental push on raw materials, as well as the company's outlook on demand growth for markets like India and Southeast Asia.